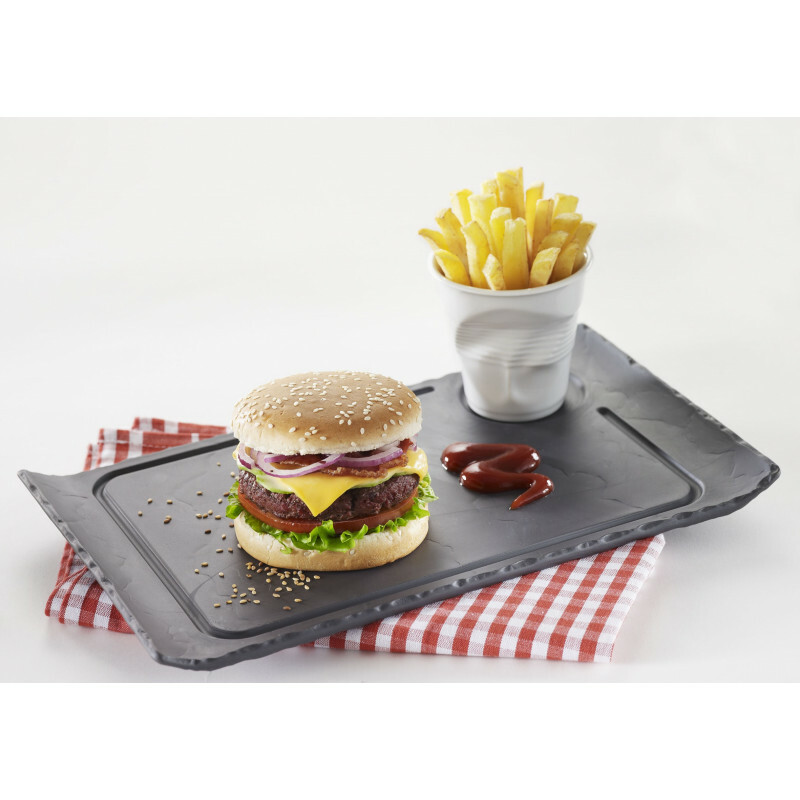 Basalt's burger plate is a big deal: it's like presenting your home made burger in a restaurant-style way. 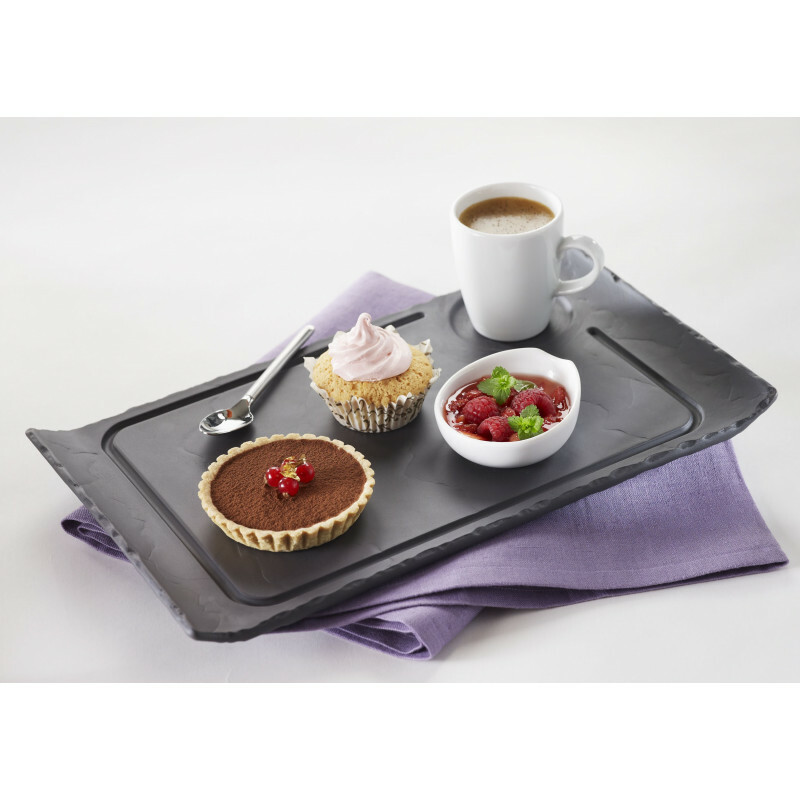 Basalt is Chef's favorite collection because they love the versatility of it. 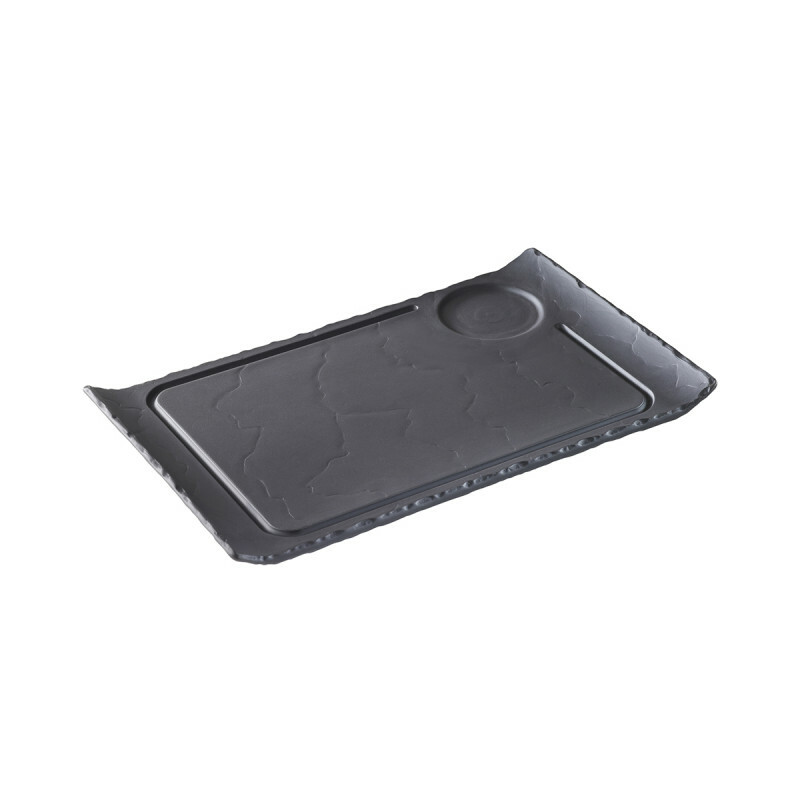 You can bake or reheat your burger on the plate. They cut with no fear of scratching. The slate stone look plate is completely food safe. And then the best part is that is very easy to wash (dishwasher safe). This shape is perfect to serve a burger or a sandwich with a small condiment on the side and some crispy fries on the cone for fries or a delicious salad in a Basalt bowl. SERVING SUGGESTIONS: Serve and present your burgers, sandwiches or meats.